At Phosphatdiabetes e.V., specialist information and everyday practical aids, as well as valuable personal experiences in dealing and coping with phosphate diabetes (familial hypophosphatemia/ XLH) are shared among each other. The work of the patient organisation involves all ages; so that adults as well children have a space to share their individual concerns! 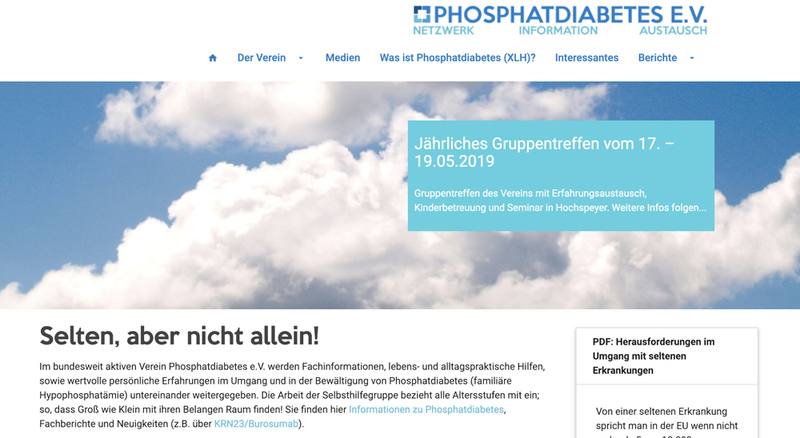 Here you will find information about phosphate diabetes, reports and news. If you are in Germany and would like to know more, contact us!